Summers are getting hotter across most of the country. Happy meteorological summer! 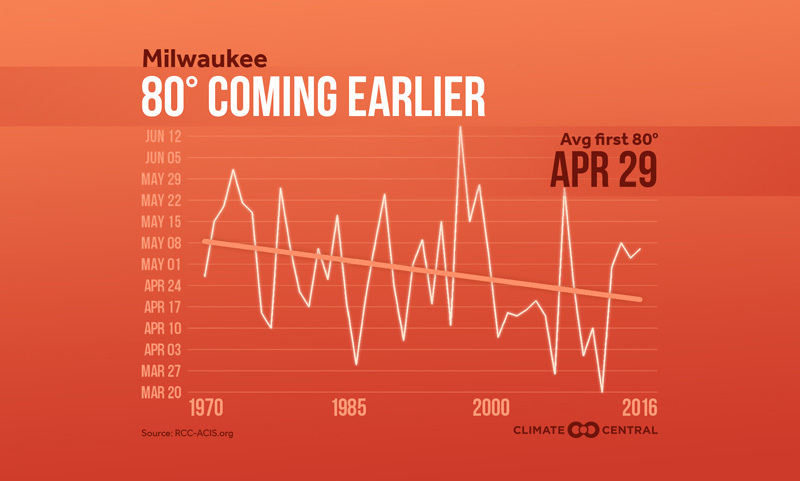 We examine the average summer temperature trend in these cities. 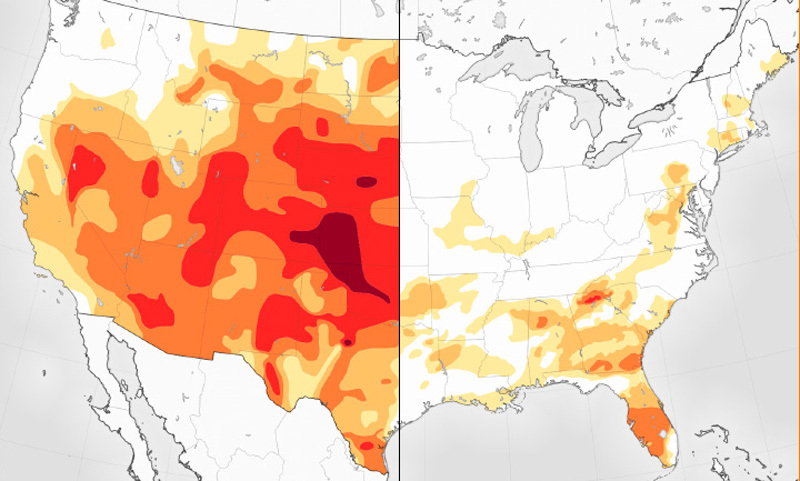 Summers are trending hotter for 92 percent of the markets we analyzed, with locations in Texas and the Intermountain West experiencing the most warming since 1970. 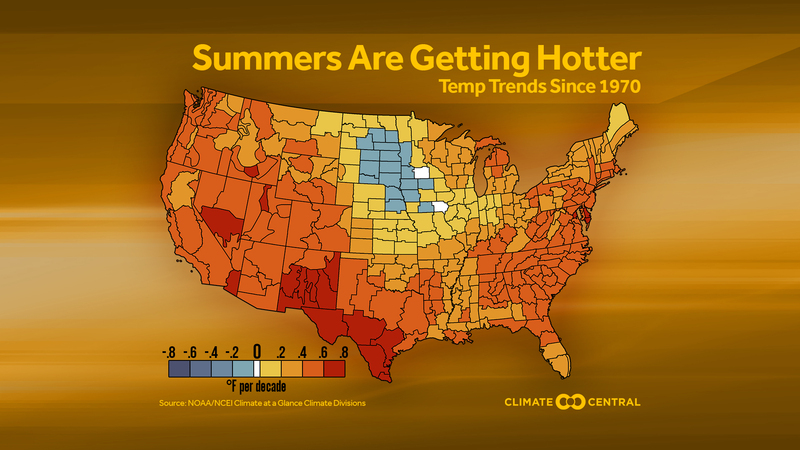 Additionally, we examined summer temperature trends in all of the NCEI climate divisions. Much like the individual market analyses, warming trends are most dramatic in Texas and the West. 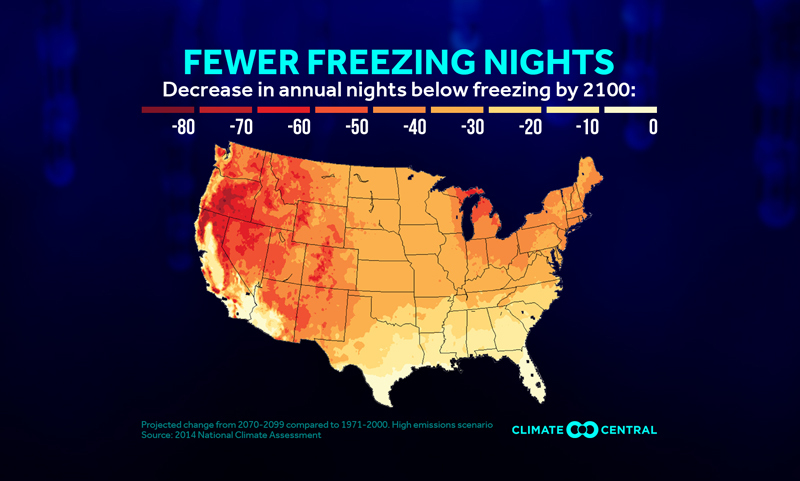 The vast majority of the country is warming, with only a few climate divisions, mostly in the Northern Plains, showing little or no warming (although that region is warming dramatically in fall and winter). This is a reminder that even as increasing greenhouse gases raise global temperatures, warming will not be uniform across all areas. Nonetheless, hotter summers raise the risk of heat-related illnesses, such as dehydration, heat exhaustion, and heat stroke. With Memorial Day and the unofficial summer vacation season just around the corner, summer heat will soon begin to settle in. 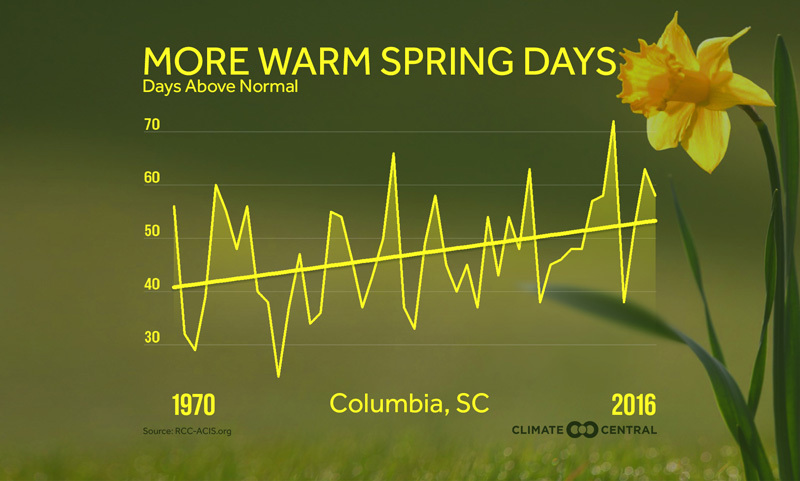 After a phenomenally warm February for much of the country, many of you have been asking us to take a look at how much earlier in the year the first occurrence of summer-like high temperatures are arriving.